Always Caring, Always Giving, Always Loving. 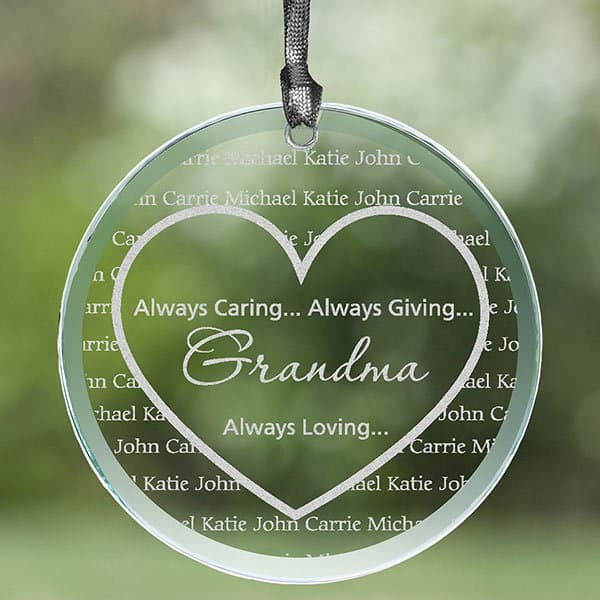 Our wonderfully unique Grandma’s Sweethearts Personalized Suncatcher expresses your sentiment and adds a personal touch to a special bright window in her home! 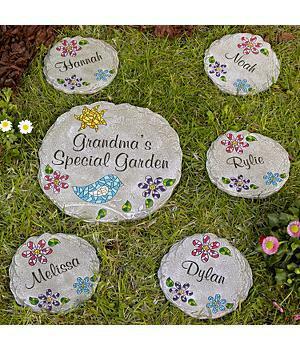 We artfully laser engrave any title and the first names of her sweethearts will be repeated behind our heart design for her to enjoy every day!